The first of four planned chapters in Capcom's episodic survival horror adventure Resident Evil: Revelations 2 hits the PlayStation 4 and PS3 via the PlayStation Network today, serving up a unique co-operative experience for series fans. Releases for the Xbox 360, Xbox One, and PC platforms will arrive tomorrow via Steam and Xbox Live. In Revelations 2, players choose from one of two series veterans (Code: Veronica star Claire Redfield or the bearded dynamo himself, Barry Burton) and battle hordes of undead mutants with help from either an AI partner or a fellow human via a local-only split-screen mode. Unlike Resident Evil 5, which put co-op partners on equal footing with similar strengths and weapon loadouts, the second player in Revelations 2 serves a scaled-back, supplementary role in both scenarios. Claire's partner Moira, for instance, carries a flashlight that can be used to blind enemies and highlight items within the game's environments. Barry's sidekick Natalia, on the other hand, can use her psychic powers to detect threats through walls, alerting Barry to their presence long before they're visible. Both partner character possess limited combat capabilities, and largely serve to augment the primary player's abilities and arsenal. 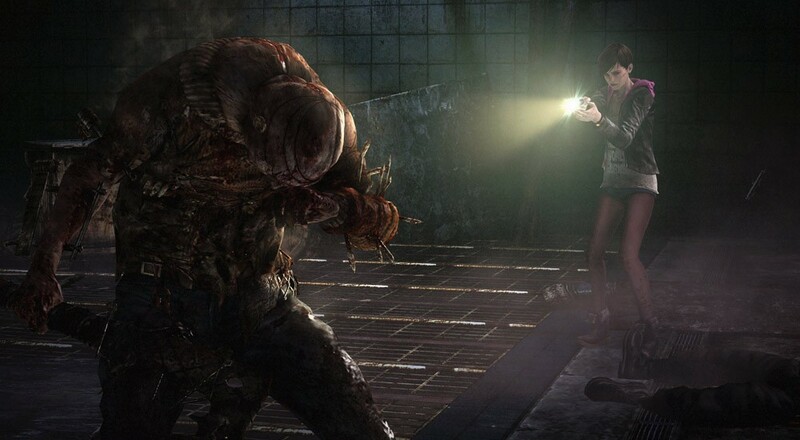 Resident Evil: Revelations 2 features a split-screen, offline co-op story mode for two players, along with an action-focused raid mode that's also playable in a local split-screen format. The series' next episode will hit digital storefronts on March 3, and a retail compilation featuring an array of bonus content will premiere for the Xbox One, Xbox 360, PlayStation 3, and PS4 on March 17.